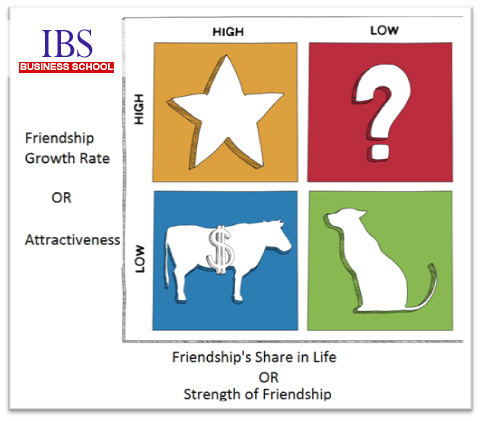 BCG Matrix of Friendships during MBA. The BCG matrix named after the Boston Consulting Group, identifies 4 types of strategic business units for a company’s portfolio analysis so that companies can identify which of its products and services are performing well, growing, decaying, need investment or need to be done away with. Four years back, I made a blunder of classifying the clients (of the company I was doing my internship with) into BCG matrix (growth-share matrix) instead of classifying its services and products for portfolio analysis in my summer internship project report. But I realized that though this approach may sound rude and inappropriate for business clients; it can be successfully implied in our lives to understand the kind of friends we make during our MBA days; keeping in mind that it is important for all of us to understand whose presence is good and benefiting for us while who is our grave digger. Friendship growth rate refers to the summation of various characteristics such as the age of friendship (whether new or old); the quality of company (enjoyable or irritating); the extent of matching interests (knowledge, recreation, thinking etc.) With these factors being common such as old friendship, good company that refreshes you and like thinking you are more likely to get together and form friends with a person. Such person may be contributing to your various interests such as academics, discussions, sports; recreation etc and these characteristics make him/her attractive. Friendship’s share in life or say strength of friendship refers to the importance and value you assign to your friendship. Also, this refers to the strength of equation shared by you with a friend. It is important to know whether you assign value to a particular friend or not and if you do then how much. Those with high value should always be grown to be beneficial and those whom you value less should be taken care of because every friend has their own importance. Remember it is easy for you to make your place as a friend in someone’s life when there is opportunity to grow friendship. Also, if you try to build all your friends at one time, you might end up being confused as to who is more important to you while, who is less important. The Star Friends: A very few friends remain attractive and maintain the friendship for a long time due to various reasons. Although I believe only few of your friends qualify and maintain as star friends, such people are those with whom you invest most of your time, efforts and thus friendship grows rapidly. With time their growth may or may not slow down and they may shift to other areas due to excessive closeness. Such friends are ideal and beneficial for everyone because from teaching to project work they stand by you and you reciprocate with ease. Everyone wants such loyal and dedicated friends who not only know your grades better than you but also your family and your mindset. Such friends are practically challenging to maintain because with time, things change yet some people successfully maintain the equation. The Cash Cows: This classification of friends does not refer to your filthy rich friends but those who are with you for a long time; already know you and share a very strong bond with you. Such friendships do not demand extensive investment from your side in terms of excessive effort. Such friends reciprocate with good relations, support, understanding that are always a positive for you. You neither need to go out of the way to help them out nor need to overdo anything because you already share a good rapport with them. You are aware of their extent and limitations of friendships and vice-versa. Such friends are a boon because you need to make no additional efforts and the relations are already good. You stand by them and they give an extra hand to you when you need help. The Question Marks: Such friends devote lesser time and strength in the present but have a high growth rate or potential. What do you do with friends who give you less time but appear worthy of your companionship? You invest in them by giving them your attention, time, dedication as well as look ahead to spend time with them. You have to be extremely careful as to which friends you should convert as star friends. There are chances that your efforts may succeed or fail, there’s complete uncertainty. The crux here is to identify here who is valuable and who is not. Once you know whom all to focus upon, you must make efforts. Dogs: Ethically it is ridiculous to call or coin a friend as a dog. But, this combination is the least important looking at your interests, its attractiveness and the time and effort you would like to devote. They may be disloyal, prove to be a time and energy drain or use up a disproportionate amount of time and resources. Such friends might have been close friends with you in the past but you lost touch or closeness with them due to some form of lack in trust, misunderstanding or deceit. This category includes those friends who cannot keep your secrets and blow the trumpet in front of the world. Remember that while some friends might need immediate deletion, there are some friends required to be maintained to avoid negative publicity; to complete the group where such a friend is liked by others; to receive regular updates or any other reason. Such friends may be capable of revitalization and must not be done away with completely. At least maintaining touch is important in this case. You must remember that since question mark and star friends are crucial; they are extremely demanding and require consistent efforts to be maintained and nurtured. Further it is extremely crucial for you to understand whom are you investing your time on and what kind of return are you expecting? Again as the critics of the matrix say, this matrix doesn’t care about averages; uses absurd notations and headings, cannot be used freely and lacks pragmatic approach. Contributed By : Chayan Jain (Class of 2011-2013, IBS Hyderabad). 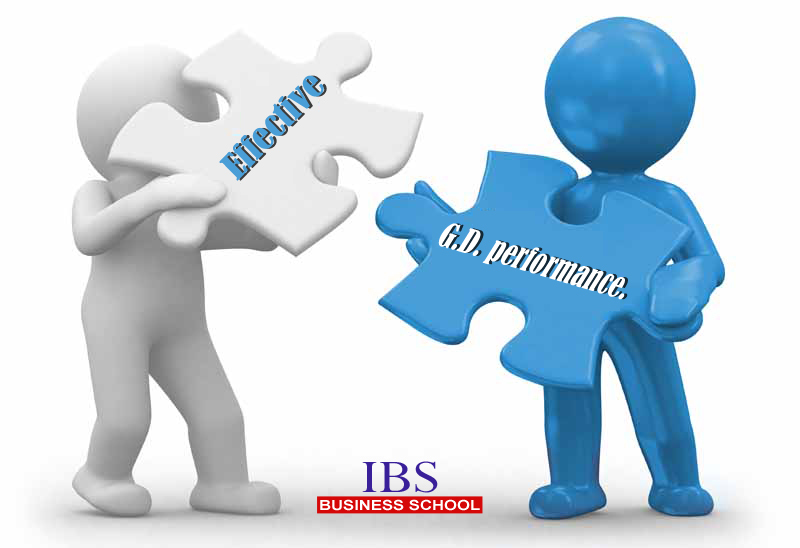 Why I chose IBS as my college for MBA. In August 2011, I remember purchasing the form for IBSAT among many other competitive exams but the lines that came out from my mouth astonished my friend who was standing beside me. ‘I am going to Hyderabad, for sure and I am going to make the best of it’ I spoke as I clutched the form in my hands like a priced possession. Life threw its own pangs and I gave the endless number of competitive exams everyone gives. Amidst the interview calls that were in my favor, I went to I.B.S. Hyderabad along another friend for the GD and PI. Through the train route I wondered what the institute would be like; how would the people of Hyderabad be different from my city; would I clear the selection process; how would the institute otherwise be apart from the brochure and information provided by the institute, shared by pass-outs, friends and online. Even though I didn’t know that I had this customer centric approach to look at an educational institution and judge it on the basis of its faculty, infrastructure, reputation, hygiene and cleanliness etc I did pretty well on reaching the institution. Going to the campus for the first time was an experience in itself. When I reached the campus, I was mesmerized by the grandeur of the campus area and its cleanliness. With coconut and papaya trees in sight, I walked towards the central area which had the academics block at one end and the library at the other. The absolute green surroundings added to my overall first impression. On walking to the library’s reading hall, for registration, I collected the information required and got all necessary paper work done with the cordial and accommodating staff at the counter. Due to my endless curiosity, I went to see the library (which was just above the reading hall) and was elated to find that it was no less than a palace of academic and other books. I was directed to the academics building by a staff member, where the GD’s were being conducted, waiting for my group’s turn. The GD was conducted in a lecture theater where our classes would be held in the future and this gave me a tentative idea about the classrooms. I gave my personal interview in a class room like many others where I was evaluated for my ambitions, goals and seriousness by institute’s own faculty members for around 20 minutes. By now I was affected and impressed by the faculty’s cooperativeness and staff’s humility along with good infrastructure. After the procedure, I saw the instructions and advanced to the canteen area with my friends. To my surprise, there was an amazing variety of snacks, beverages and options available to eat throughout the day at a campus which was distant from the main city. Also, with the mess (that was serving regular food to the hostelers) just next to the canteen, my friend and I got the opportunity to visit the mess which was spotlessly clean and tidy, hence hygiene was totally assured. Further, on interacting with undergraduate students who were present in the campus, I learnt that the food quality is good and there is variety from North Indian to Chinese food. Hence two criterion i.e. food and academics were satisfying on interaction with existing students, faculty of the institute and witnessing the physical evidence i.e. the modern classrooms, well-equipped lecture theaters, a loaded library as well as hygienic mess and canteen. Now, the only thing that was left was hostel room. How would the hostel room be? For this question I didn’t need to go too far because that year I.B.S had called in prospective students along with parents to stay at the hostels but my friend and I had decided to stay at the city to explore it in the evenings. On interaction with few parents and competition I learnt that the rooms were clean and tidy with a huge cupboard for clothes; a full size study table with a chair for studying and an iron bed which had to be equipped with easily available mattresses. Moreover, there were two hostel options, one with attached washroom while the other with a common one. In fact, it was amazing to learn that the institute had a saloon for the students in these respective hostels. On hearing about individual occupancy in the hostel rooms, it felt even more interesting as the place was offering the comfort and privacy I was also concerned about. Hence, my worries for staying in the campus were also reduced to a great extent. On exploring the campus further, I found out the plethora of sports facilities like table tennis, badminton court, squash and tennis courts, swimming pool, football ground, cricket ground, a modern gymnasium and others that the institute provided for. To add to all this, there were special rooms for the college band; recreation rooms with television sets to watch crucial matches; special clubs for arts, culture, public speaking, creative writing, entrepreneurship, marketing, finance etc. On a holistic basis, the institute was away from the conservative clutches of home and the glittering city and thus provided for a peaceful environment for study. Moreover, on going through the information brochure of the institute I learned about the never heard before ‘case study pedagogy’ which was designed to make others and me self reliant for studies and answerable for the knowledge attained through self-study by studying the chapter, case and correlating them for class all by oneself. This was certainly not the case for me since my childhood because either my parents tutored me or arranged tutors for me if I couldn’t understand a particular subject. But now in this method of learning, I had a challenge of not only becoming self dependent for my academics but also discussion, competition and debate on my thinking in the classes. With such a drastic change I had a humongous challenge to make or break myself among the proposed batch strength which provided for stiff competition that existed in the real or say corporate world. With the image of the institute; the placement guarantee and records; the cordial staff, the informative faculty, the compelling infrastructure, well-equipped hostels and hygienic mess moved me enough to select the institute for my MBA when the results were in my hands. My Final Year at IBS: Ready to Face the World. Just a month to go and I’ll be out there in the big, wide world. I’m itching and ready to put all my new found expertise to use wherever and whenever I can. Excitement! Anticipation! Apprehension! A mixture of all this and most of all relief – that the two years of studies are over. My wife, who has been a constant course of support for me in these last two years, is experiencing all these emotions and is more relieved than I am, I can tell. 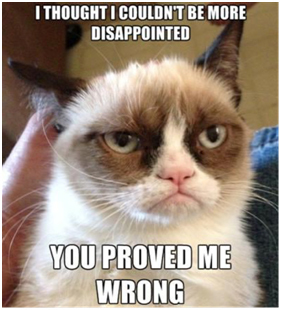 These were my feelings when I was a second-year MBA student, just on the cusp of graduating. I am sure many of you, similarly situated, can recognize these feelings (though many of you may not have a spouse prodding you). When I look back over the two years that I spent at IBS, the memories rush back. I came to the institute with a lot of expectations and while things may not have gone exactly the way I thought, probably I came away with far more than I expected. The relationships, the connections, and the principles I imbibed during that time – they were all an affirmation of why I was there in the first place. Now, with time, space and hindsight I can say that everything of what I learned has gone into making the ‘ME’ that I am now. In school and college, I was one among a lot of students in a class. 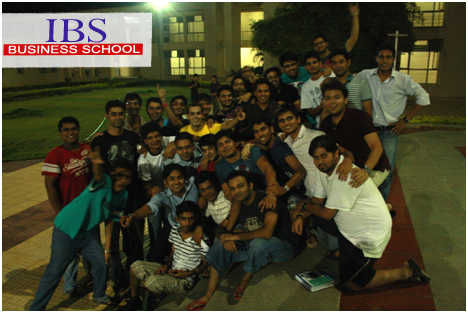 At IBS, the small class size, the fewer students led to an intimacy among us students and greater focus on our learning. More chances of meaningful interactions; more chances of developing deeper relationships; more chances of interacting with the faculty; and of course, more chances of having fun and playing the fool. I think that I made closer friendships during those two years than I would have in all my years in school and college.The best part about it is that some of these friendships have deepened over the years while acquaintances have flourished. It must be something to do with the campus ambiance or just the fact that all of us were going through identical experiences – only in a more focused and intense way. Though many of my batch mates are in diverse fields and are scattered all over the world, when I get a chance to interact with them at alumni meets, it’s as if the space and time gap never existed. We are able to pick up the threads of our lives as easily as if we had been talking just the other day. Earlier this year when I went to IBS Ahmedabad to attend a seminar, it was as if I had never been away. I met my professors in whose classes I had whiled away a lot of my time – though now with the years of adulthood experience – and we met as equals. I was charmed by their enthusiasm and their continuing interest in all of us ‘old’ students. Has my investment paid off? Am I better off for having done my MBA from IBS? Could I have been done things differently? My answer to the last two questions is, quite frankly – I don’t know. If I had done my graduation, say from the Indian Institutes of Management or XLRI or any of the ‘elite’ institutions, maybe I would have had a different career path or maybe not – its all in the realms of speculation. The basic person I am would remain the same; whether I studied here or elsewhere. Its like saying what if I had been born in some remote country in Africa or what if I had been born in America? My skills are what I have and how I use my skills is up to me. Yes, circumstance, training, experiences and of course, the kind of mentorship I receive all have a bearing on my future – but whether one is better than the other is very subjective. 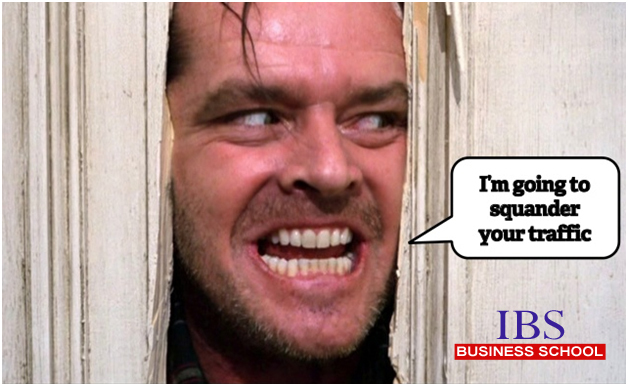 As to whether my investment – in studying at IBS – has paid off – my answer is a resounding YES! After more than ten years in the corporate sector and now that I am on the path of entrepreneurship, I can say that I would not exchange my sojourn in IBS for anything in the world. I said in my opening lines that my experiences in the institute have moulded me into what I am now. Whatever values I have gained are due to the professors who gave them to me; my domain expertise is due to the way they taught me; my behavior with my environment is due to what I have absorbed by watching them. Did I put all my chips in the same counter when I opted for IBS? Perhaps. Life is a gamble; every decision we take stands the equal chance of going right or going wrong. Some decisions may have more in favor of it than others but still it can turn adverse too. But what you have to go through and how you deal with it, is a final test of what you have learned from your institute and how you apply it. 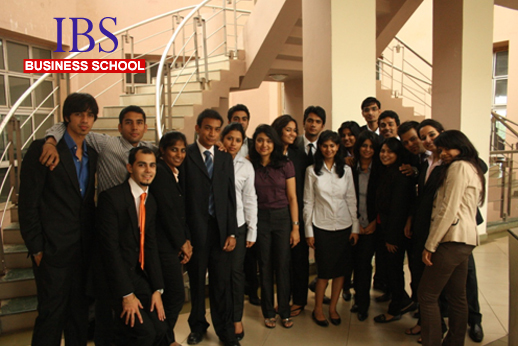 I think probably the best thing I have learned from IBS is that life is not just about a good salary or a good job. There’s more to it. It is about getting happiness from what you do; its about being a responsible citizen; its about doing things you want to do; its about being empathetic to others; above all, its about being a good human being. Earning is not the big thing – the big thing is what you do with it. Is it making a difference to the others around you? Stars in my eyes; empty pockets; a world of ambitions; dreams; the good wishes of my colleagues and that of my professors who spent time trying to drilling all the knowledge they possessed into my head; expectations of my parents; my wife’s unstinting support – Hello, World, here I come. Contributed By : Sidhartha Mohanty (Class of 2005, IBS Ahmedabad). Demographic Dividend or Demographic Crises – Challenges for India. Mr. Narayana Murthy, Chairman Emeritus of Infosys, raised quite a storm when he declared that 30% of engineering graduates were unemployable, a statement corroborated by the Nasscom-McKinsey Report “Perspective 2020: Transform Business, Transform India”. A similar survey by Associated Chambers of Commerce and Industry in India reported that only 10% of MBA graduates get a job immediately after graduating. Quite a depressing scene. On the one hand, employers bemoan the lack of talent in the market; and on the other hand, millions of youth are unable to find a well-paid job after years of higher and professional education. Though the number of institutes has grown exponentially, there is a steep decline in the quality of education being provided. The course curriculum as well as delivery pedagogy are dated and testing is flawed. There is little or no focus on application of concepts as relevant in real corporate scenarios. So while they are “qualified”, they are not “skilled”. There is a desperate need to bridge the gap. Another cause of concern is the career decision making process. Decisions are made based on job opportunities, most sought courses, peer and parental pressures, rather than interest and aptitude. It is estimated that the population of India will reach about 1.3 billion by 2020, of which 0.8 billion (about 60%) will be in the working age group (15-59 years), which, according to economic predictions, may very well be a period of “Golden” growth as not only will India have enough manpower to meet its own need, but also surplus manpower to supply to the rest of the world. However, how can we reap the benefits of this “demographic dividend”? Can quantity be matched with quality? And this is the classic “Great Indian Talent Conundrum”. According to the pessimists, at the current pace India is hurtling towards a situation where there will be a skill gap of about 70-80% across industry sectors. There will be manpower with skills redundant as far as employers are concerned, and jobs for which the right talent is not available. There will be 108 million fresh entrants to the workforce. About 298 million existing workforce require additional skills through up-skilling or re-skilling by 2020. The social and economic repercussions of this scenario are humungous. Visualize a society with educated unemployed youth, with no direction and you have a perfect setting for a criminal society. A concerted effort by government, employers and employees is the need of the hour. Prime Minister Narendra Modis’ ambitious Skill India initiative, launched in July 2015 is one such step in the right direction. It aims to skill 40 crore people by 2022. The initiatives include National Skill Development Mission, National Policy for Skill Development and Entrepreneurship 2015, Pradhan Mantri Kaushal Vikas Yojana (PMKVY) scheme and the Skill Loan scheme. 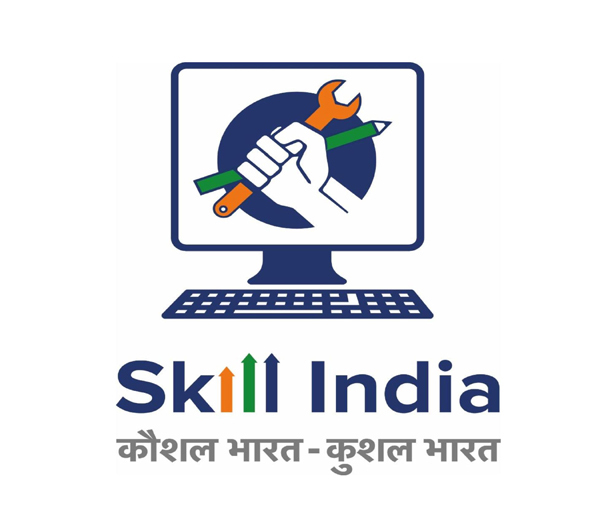 The Skill India program, with the tag line Kaushal Bharat, Kushal Bharat’ (Skilled India, Successful India) will provide financial rewards to those completing the program, mostly workers in the unorganized sectors. Comparing India with China, Prime Minister Modi said that if China is recognized as the “manufacturing factory” of the world, India must be known as “human resource capital” of the world. It follows close on the heels of PM Modis’ other campaigns “Make in India” and “Digital India”. What remains now is the aggressive launch and implementation of this initiative. A similar National Skill Mission launched by the UPA government in 2008, with a target of 56 crore workers by 2020, could barely achieve half its target. The challenge in up-skilling is upgrading syllabi and technology. The private sector can contribute in this mission. Maruti Suzuki, for eg has adopted a cluster of ITIs, which is a major source of vocational training. Similarly, Self Employed Women Association (SEWA) has been conducting sessions for women, a huge untapped workforce, in Ahmedabad to skill them on financial planning and business strategies. The government is gung-ho about the project. The critics are skeptical. And we can but wait and watch. Contributed By : Dr.Rachna Sharma (Associate Dean, IBS Mumbai). TOWS Matrix for Effective G.D. performance. 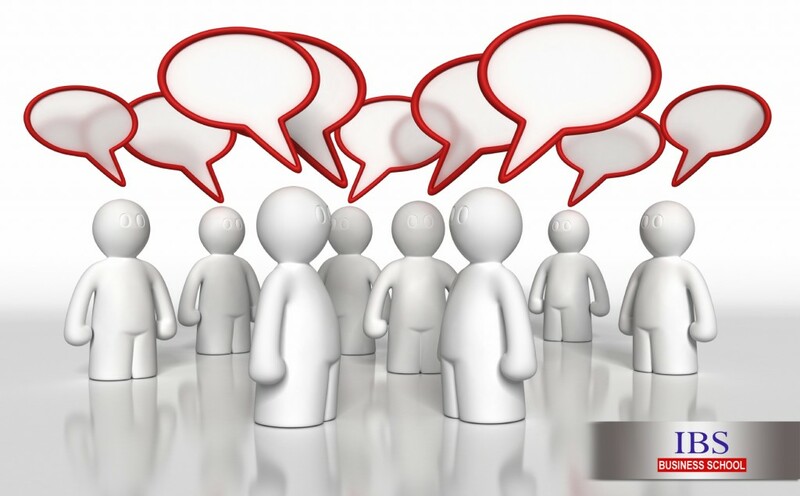 Group Discussion has become a necessity during the selection process for educational institutes and jobs these days. What you and I feel amongst those 8-12 people at the discussion table is similar. We all wonder, where do these judges get such weird topics from; why are they so concerned with our knowledge of general awareness; where do these unknown group members produce content that appears valid; how do people sometimes form a sub-group in between a discussion; how do I make a point and get selected? I can understand your situation and empathize with shy people who feel extremely uncomfortable in such situations. Before I jump on to the theory I would like to share with you one of my experiences; where the topic for GD was ‘Medical services in the West are better than the East’. Now at the beginning of the GD, I was totally confused along the entire group whether the topic was about West of India or West of the World. I totally gave up on the idea of initiating and let GD reach a stage of confusion where even the judges were perplexed. Hence I came up with the stance of bringing the group back to the topic and discussing whether it was for the world or India specifically. Thereafter, I talked about the equipment, techniques and technology of the western countries and Ayurveda and other local medicine therapies of the western India. Thereafter I mixed the technology of the west with operational efficiency of our country and thus moved on to discuss about aping the west by the eastern countries. Also, I remembered getting attention, acceptance and honored all everyone who agreed with me and decided these points to be suggestive and not decisive. Result was clear selection! Let us now approach Group discussions with a fresh perspective with a different theory that I suggest through my MBA experience and the lessons in strategy during my MBA course. First of all you need to understand your strategic position when a topic is given to you. Did you understand and comprehend the topic? Did you understand all macro and micro factors running in the economy that relate to this topic? Further, understand whether you have any information on the same. Do you have facts and figures about the topic? Are you having some debatable or relevant content to deliver? Coming to the matrix, internal factors are those that remain in your control like your awareness and knowledge structure, your posture, your fluency, content delivery etc. ; whereas external factors are those that are out of your control but you can respond to them by adapting yourself to conditions like the nature of competitors, opportunities to speak, initiate, intrude, respond and questioning. SO: If you have knowledge and content on the topic, it leads to strength. When you have strength, you can take the advantage of initiating the discussion without a judgment to bring people to comment, discuss and agree with your idea. Once people start discussing, use the opportunities to go slightly technical, develop and express fresh views and points, spread your content over the designated point, segregate relevant and secondary content from your knowledge and bring the same in front with humility. WO: When you are weak on the content and knowledge, use opportunities merged with others and make extensions of their points that are worthwhile but not avoidable. Your point must be relevant and value adding rather than just a ‘me too’. Acquire from past learning and others’ points of view and build your fresh thoughts. Exploit their competency, be efficient and quickly learn how to articulate your limited content. These will build an image that you are growing continuously even if you are unaware of the topic; are ambitious, can partner with colleagues and others if required and can prove you can be a good group member in a team. ST: Since you are aware of the topic/content just be careful to express it articulately. There will be people who might be more mature and aggressive than you but it will be wise for you remain subtle. If someone tries to fight or argue don’t get into a one-on-one fight with them, focus on a group consensus. You are there in a group to form opinions not to have one-on-one agenda and dialogues. Do not get aggressive or overpowering in the group as it forms a poor impression. Get people to agree to your point subtly and with humility without offending anyone. You are not there to show your knowledge but the agreement you can win with when you are in a group. Do not fight at any cost! WT: Now when you are weak and under threat of having no content and being attacked as the non speaker or silent one in the group; focus on grasping the points others make and form a conclusion for the entire group mentally. Nod your head at times when you understand and listen but don’t overdo this. Don’t fiddle with your pen, yawn or scratch your body. Let others argue, talk and discuss, as you have nothing concrete to say. Hence, towards the end, when only a minute is left, intrude and express that you want to conclude on the group’s behalf. Conclude without adding anything from your end but focusing on the points where the group had come to a consensus. Just in case, anyone intrudes and claims you wrong, let them; and you finish with the conclusion. Such intrusion will make them faulty not you. Hence you would be judged as a good listener and a decision maker who understands and respects everyone. Group discussions are conducted to understand your stance on contingencies in a group so that organizations or institutions match their values, expectations, beliefs, thinking with yours and see if they need someone like you or not. Remember in GD, you don’t fight a battle for survival but are being judged by representatives of the company. Think and prepare your stance according to TOWS matrix and experience the difference! MBA – Boon to Management for Strategic Decision Making. One of the most important tasks that any person has to do is decision making. 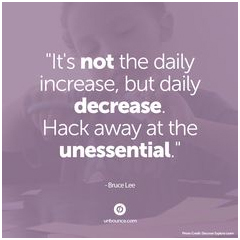 It is crucial and also requires a steady mind-set. A company or an organization requires strategic decision making at the management level for essential decisions to be taken. For example strategic decision-making is taken for new product lines, increasing sales incentives, long term forecasts like opening new chains, research data on customers etc. Strategic decision-making is also known as strategic planning. It is a process in which a company creates its objectives and mission in order to achieve their goals. Introduction: The first day of college when we are asked about ourselves, we talk about our school life, graduation, personal life, family, aspirations etc. We also state the reason for choosing MBA in our course of study. This is the first step where we made a decision of studying MBA and how it could help us in our career. Case Study Discussion: Case studies are provided to understand how a management works and people associated with it take strategic decisions for the benefit of the organization. We are provided with questions that compel us to step into the shoes of the corporate team and think like them. At this stage we apply our theoretical concepts to blend with the situation and take a decision, which is most appropriate. Presentations: Making presentations on individual topics or case studies motivates us to include points which are crucial to highlight problems/causes of a case. We make a decision to understand the matter of the case in relation to the concepts we had studied earlier. Electives: Based on our study from the first two semesters we understand how a management works in an organization and various decisions made. Similarly associating our knowledge with the future of which division we would work, will lead to us making a decision on which elective we need to choose to build our future. We create strategies as a path to reach the goals and vision. The foundation/base of anything is made strong only when the top-level management makes strategies that are best suited for all levels of management. MBA teaches its students to link their goals and motives to the vision they seek in their life. Hereon, they are motivated to enhance their learning, skills, traits and knowledge necessary to support and build their vision. With such alignment they are trained to take strategic decisions that will help them in enhancing the quality of their career growth and organization as a whole. Diagnosing problem at an early stage and providing best decisions for long-term sustainment. Continuous innovation and redefining business modules through networks and ecosystems. Develop negotiation skills in order to improve the business and economic environment on a day-to-day basis. Every organization creates data on a daily basis. Larger companies churn higher data than smaller companies. The management of a company is responsible as to how it uses this data for the benefit of their company. MBA acknowledges students to use data generated by a company in an effective manner through extensive classroom discussions, analysis of case study and providing hands-on exercises. With such knowledge and talent, MBA graduates get equipped to take on strategic decisions of a company with focused approach and strategic thinking. Understanding every hierarchy in an organization is crucial to take effective decisions at the management level. MBA teaches a person to enhance their knowledge and experience through each level in an organization. This information and analysis helps in understanding the needs and work styles of employees and their expectations. Strategic decisions taken will be successful only when they are in sync with all employees in an organization. A project or a decision will be turned into reality when employees give in their maximum efforts towards it. Effective strategic decisions are those, which match internal capabilities to the external opportunities. Striking a balance between the financial options, economical operations, people management helps in achieving the right strategic decisions. 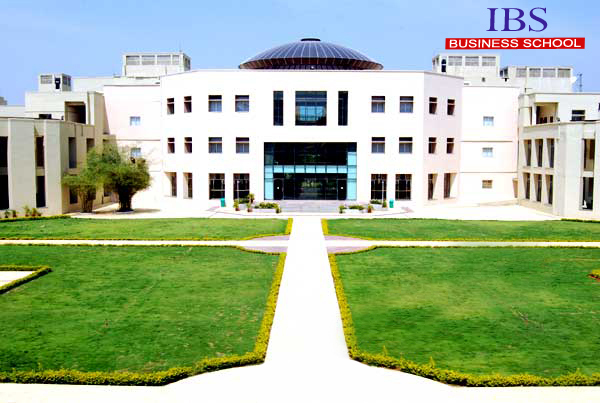 MBA works towards instilling professionalism and strong persona into every student. Scaling the progress of a company is achieved when all levels of an organization work towards attaining the same goal. Building a strong foundation or base makes the top-level stay with confidence. Like every pyramid has a large and strong base to hold the top in a stable manner, great values at the bottom of every organization holds a strong management at the top. MBA teaches basic values that are essential for building a strong foundation. A series of presentations, group discussions, and personal interviews are conducted frequently to understand the thoughts of a person and the direction in which he/she wants to grow. “Mastering an art is the spectacular vision of a smart person”. Contributed By : Anju Bafna (Class of 2010, IBS Banglore). Just Over Broke? Or Just Obey Boss. Whatever J.O.B. means, it is all about obeying someone’s else’s rules; achieving someone’s else’s targets; fulfilling someone else’s dreams; working for someone else. You, the guy who greets you everyday at the door, the receptionist to whom you nod a careless ‘good morning’, the guy running around with tea for everyone, your boss who eyes you grimly as you just about manage to get through the door with a minute to spare and finally the Big Person at the corner office, the person whom you rarely see and can only feel by his/her presence – all of you are just employees of the person who owns and runs the organisation. Is that the height of your ambitions? Earning maybe a crore or two, having two cars, a fancy house or two, and then ……what? What assets have you created for yourself and the world? All the hard work that you have put in through the years has actually helped to enrich someone else. While you were probably thinking that all your dreams have been achieved with that huge bank balance, the person who is employing you is probably earning in several hundreds of crores and his assets are in multiples of what you own. Oh no, I’m not knocking Jobs. After all, it is the jobs that feed us, clothe us, and give us a certain position in society blah blah. But just think, what would happen if the company you were working for suddenly went bankrupt. Its happening all over the world, companies suddenly crumbling overnight. What will happen to your future, your security, your family? Or if you think that the government company to whom you have given your life’s blood, so to say, is going to take care of you after you retire, what if the government suddenly announces that it plans to stop paying out pension? What if you are suddenly slapped with a vigilance case for no fault of yours – your retirement benefits could be frozen for years until you manage to clear your name. There are enough horror stories out there to know that these things can happen. The unexpected is sometimes, not so unusual. What I mean to say is that sometimes a job is not really as secure as we think it is. With a job (as in an employed person with a company) there is a limit to the salary you can earn; with a job there is a limit to what you can do; with a job there is a limit to what position you can reach. Everything is limited by the vision of the company whom you work for or the people who own that company. For those salaried people who think that they can achieve their dreams by working for a company, let me ask them a question – what are your dreams? Do you have a dream? Is it to earn a lot of money? Is it to own a lot of houses? Is it to buy all kinds of luxuries? Is it to go on fancy holidays? OK, suppose you have achieved all of these, would you say that you are fully satisfied? Your income is directly proportion to your ability to perform in a company. Now suppose, you lost the ability to perform, then your income will be zero. What happens if the company you were working for, closes down? Then again, your income becomes zero. Of course, you can always look for work in another company. In this event, you are merely transferring your place of employment from one place to another. Your basic status does not change. Now visualize this. Suppose you were the only earning member of the family and you lost the ability to work. Then what would happen to you or your family? Jobs are very transient things. It can come and go on the whims of the people who run it. You hear a lot of people complaining about the ‘Monday blues’ and their reluctance to go to office at the start of the week. If you are so unhappy in your work, why are you there? Where is your passion for your job? What about the dreams that you thought you would achieve by getting this job? If this job is not giving you the satisfaction that you thought it could, then why are you sticking on? Let me tell you a simple fact of life – the only way that you can get job satisfaction is if you are doing a job that you like and the perfect job can be created only by you. 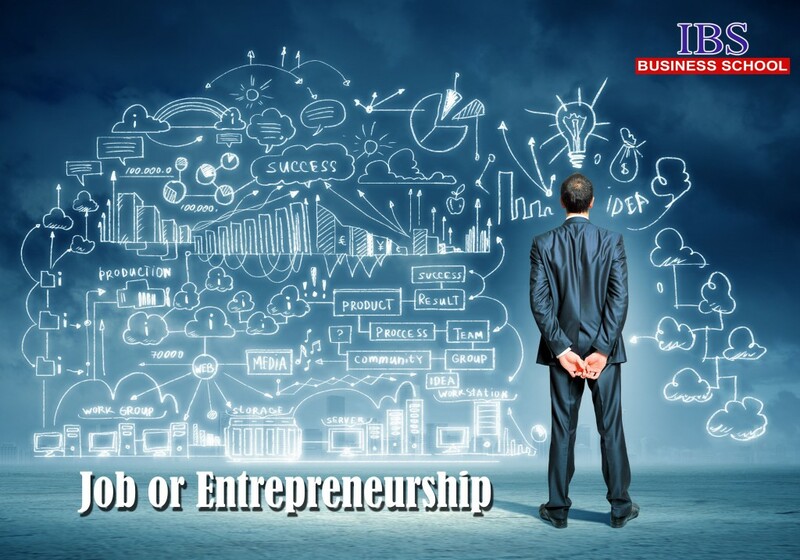 You have to employ yourself – in other words, become an entrepreneur! Yes, being an entrepreneur is risky, but then so is crossing the road. In fact, every moment of our lives is fraught with risk – you might have a heart attack; you might get a brain stroke; you might be assaulted; a car could hit you, or you might just slip, fall, and break your neck – anything can happen at any time. Risk or fear of risk is not reason for not doing something. When you took your first baby steps, wasn’t that a risk? But you did it. When you first experimented with running, wasn’t that risky? But still you did it. We never thought of those things as risks, because they were essential for our survival. It is funny, but it is the educated people – people with skills, who are the most scared of taking risks. Have you thought about the local kirana store owner? Or you milk supplier? Or your newspaper distributor? They are all entrepreneurs. They do not have the education, as we know it. They are not equipped with management skills. But they have the courage to set up their business and be their own bosses. The time to take risks is now, when you are young. You have the time; you have the flexibility; you have the strength. What is stopping you? Why do you have the fear of failure? So what if you fail at first? When you started walking, didn’t you fall a few times? When your first learnt to ride on a bicycle didn’t you fall off and scrape your knees? Did that scare you? Take your life in your hands. Shape your destiny. Steer your future the way you want it. Take the risk. Become an entrepreneur. The TOP 10 group discussion mistakes you should avoid. There are a lot of students out there who are more scared of the Group Discussion part of the selection process to a management program than they are of the entrance test or interview and I would say, they are right to be scared. Many promising candidates have been weeded out at the GD stage just because they made some silly goof-ups. Here are some of those mistakes that you can easily commit and that you should train yourself to avoid. Long back a friend of mine, Sonia, was going through the process of getting admission to a prestigious B-School. She lost out at the GD stage. I asked her why and she had this to relate. During the GD, every time it was her turn to speak or make a point, a male candidate sitting next to her would mutter something derogatory under his breath. The first time it happened, she ignored it. The second time it happened Sonia got slightly nervous. The third time, she lost her temper and lashed out at him. In fact, she also burst into tears after her show of temper. The boy was hauled up for his behaviour but Sonia also did not make it past that stage. Quite simply, the selectors thought that she had overreacted to the whole situation. Nobody should take anything lying down and you have to speak out if you are being harassed or heckled in any way. But there is a way to deal with such situations. She could have calmly told the selectors about the interruptions or she could have found a way to expose his behaviour. Instead, she lost her temper and then became emotional about it. While there is nothing wrong in it technically, remember at the GD stage, the moderators are also watching how you deal with conflict, different opinions and view points and whether you can manage difficult situations. Remember, you should never lose your cool. It does not reflect credit on your personality, however you might try to justify it. This is a great temptation indeed. When the GD is on a topic that you know very well and for which you have prepared hard, then you are ready to show everyone how much you know and what’s more disregard other people’ knowledge about the subject. Remember that others too would have prepared on the same topic and they might be holding differing views and opinions. Never try to show that your knowledge is supreme and that you have all the facts at your disposal. It will tend to alienate the other group participants and will only get you negative marks in the eyes of the selectors. Yes, you know a lot about the topic under discussion – but admit that others may have equal expertise. Don’t be tempted to throw out data and figures at random. Keep them to a minimum. Displaying your knowledge is fine; flaunting it is not. Statistics do not always bolster an argument. Candidates at GDs often believe that if they talk a lot at the discussions, they are likely to catch the attention of the selectors. Nothing is further from the truth. Make your point in as few words as possible. Do not try to hog the conversation. Wait for others to stop speaking before you begin. Never interrupt someone midway. Do not jump in with your arguments. Above all, do not keep talking after you have finished making your point. Sometimes silence can emphasise your arguments much better than words. Quality is what is important, not quantity. You are being assessed not only in what you are saying but in your communication skills as well. This includes listening too. Assert yourself, but do not try to dominate. Most candidates are nervous going into the GD and many people do feel that the others are better than they are. Everyone is in the same boat. Some people may know more or they may know less. But you have your own strengths. Do not let your insecurities overwhelm you. Contribute to the discussion energetically and with enthusiasm. Don’t hold back your opinions thinking that others will ridicule it or make fun. You are only hurting your own prospects. The selectors will also be looking at your body language to gauge how you are dealing with the GD. Your uncertainty, your sense of inferiority, your insecurities can easily be read by them. Even if you are not feeling confident, talk yourself up. Boost your morale by telling yourself that you are good at what you do. Focus on your strengths. Many candidates lose out at the GD stage simply because they have not taken enough trouble to work on their language skills. Grammar, accent, pronunciation are very important, especially since you will be talking to people from diverse backgrounds. If you have a very pronounced accent, talk slowly and clearly so that everyone can understand you. You need to practise this at home, with your friends and family. Practise how you are going to talk. Grammar and sentence structures are very important. All your hard work and domain knowledge will go to waste if you score poorly in the language department. Fluency is essential if you are to impress your co-participants as well as the selectors. There are people who have never spoken in public in their lives. They have gone through their life shying away from the limelight. They may be introverts and it is quite possible that speaking in front of people makes them nervous and they may even stammer. There is only one way to deal with this problem – overcome it. Start to talk on various topics in front of your family members. Get your close friends to co-operate with you. Sometimes just talking in front of so many people is frightening. Become accustomed to speaking in front of an audience. If you don’t get rid of that fear, it is quite possible that at the GD, your vocal will seize up and you will be unable to utter a word. I had a friend during my college days. She was a very nice girl but she was an inveterate talker. She was one of those who could and did talk continuously. She had a lot to say on every subject. The only way one could stop her was asking her to shut up! Since no one wanted to do that, we would all run away from her. I have spoken before about quality over quantity. Learn to restrain yourself if you have the tendency to talk and talk and talk. Some people also have the habit of gesticulating too much and throwing their hands around. Our bodies are very expressive but you have to control yourself as well. When you talk too much the following things will happen: you will start to digress from the topic, you will talk about irrelevant things; other people will become irritated and annoyed and the panellists will be giving you negative marks. Stop, think and then speak. We all like to dress well, but remember you should dress to impress. You can dress elegantly and fashionably without being flamboyant. Sober clothes should be the order of the day. Make sure your clothes are ironed well and are clean and neat. Keep makeup and accessories to the minimum. You should start preparing for the GD almost as soon as you start to prepare for the entrance exam. What are you waiting for? Do not wait until the entrance exam results are announced. Read through newspapers. Keep yourself up to date on current affairs. Start thinking about likely topics that may figure at the GD. Keep your bluffing tactics for your card sessions with your friends. The GD is not the place to try it out. If you are not sure about some points being made at the GD by the others, do not try to bluff it out and take them up on it. If you do not know, keep your mouth shut. Do not offer your opinion on a point of which you are uncertain. The selectors who are observing you will immediately catch you out. You are not expected to know everything. MBA: Some Constructive Destruction and Embracing It. MBA is a multitude of discipline. Not only one has to do ordinary things in an ordinary way but also ordinary things in an extraordinary ways. Some usual things happen in a fraction of a second, but sometimes the same things may take unusual time and effort. In short, an approach to a decision is extremely important to get things rolling quickly. In an ever-changing environment, individual sustainability depends on how smart he is. It is a measure of efficiency. 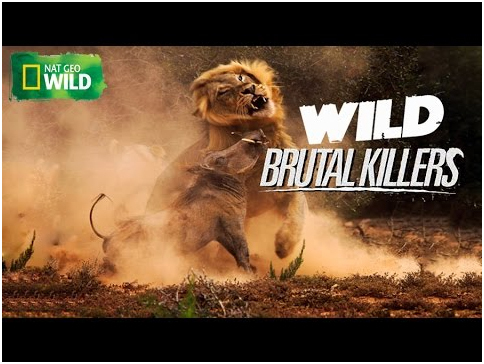 Biting the bullet is not the solution, but using the bait as an opportunity is what gets the stone rolling. The very first lesson introduced to MBA participants is that ‘Management is both an art and as well as science’. This has a very broad and deep meaning attached to it. It signifies that boundaries for an MBA are limitless just like a painter whose imagination and creativity are unparalleled. Like art, management throws a lot of insights and perspective on the same thing. Multiplicity of ideas, suggestions, opinions, acts as cue for shaping the future. Have you ever noticed why a photographer takes multiple photos for the same object? Why a writer writes several rough drafts before the final draft? Because, a photographer knows that there can be another best possible snap of the same object. He discards 100 photos he took to get one single photo right. A writer scraps several write-ups to come with the one best single piece. That’s how creativity comes and develops. 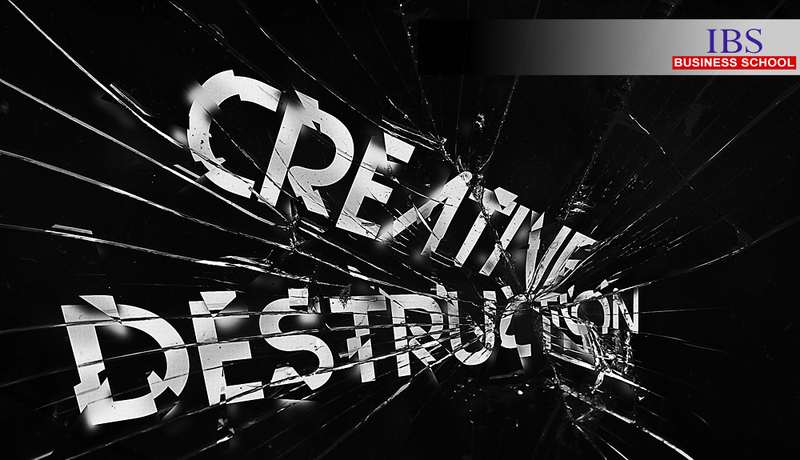 That’s how one has to ‘destruct’ or ‘discard’ to get the most ‘creative’ or ‘constructive’ output. That’s the unparalleled theory of Constructive Destruction, which is widely seen during the MBA course. MBA aspirants sometimes struggle during their 2-year period with the assignments, projects, internships, semesters, subjects and even sometimes their own personal life. Sometimes doing the same thing in the same ways as that of friends not only pushes you back but there is nothing separating you with any of them. In the new era of cut throat competition, only the extraordinary mind with innovative ideas can lead organisations. To reach this point, aspirants have to test their own limits and unleash their own ideas into a transformational force. Solving Assignments: MBA course comprises of multiple assignments where each one requires a lot of effort and time. Each assignment has its own level of difficulty and brainstorming challenges. MBA aspirants may try to solve these assignments in the innovative ways. They could discard the ideas that strike first or seem very obvious and start thinking afresh from a new perspective. This not only provides much-needed firework but also gives enough ammo for a break through. Solving Case Studies: Some case studies are simple yet their solutions are equally challenging. What may sound like a simple solution may be disguised in one of the complex problems ever and this is when a company can either pave a path to immense success or another speed bump. Such strategies change the face of the company. Some case studies show how a successful company falls for a wrong strategy by not identifying a hidden/palpable problem leading to the brink of collapse. Such strategy of bringing turnaround has greater importance for the aspirants. Creative thinking is not taught in the classrooms, but honed throughout different semesters. One has to really come out of the caves and start discarding usual solutions, strategies, thinking ideas etc. and start bringing forwards new hidden talents. Product Design in Marketing: Marketing aspirant has to have a creative bent of mind. He has to deal with existing products and improvise the same into a futuristic product. He has to identify the product cycle where the product will become redundant unless new value is added to it. Innovation is the key to this. How does one reach that level of creativity? Reading books? Solving cases? Surely many aspirants would be doing that and still they get stuck. Learning theory is really great, so is the imitation theory. Where is Nokia currently or Blackberry? Both, at the far end of the road, isolated. If one has to drive excellence, one has to continuously discard the current mundane ideas and construct new ideas, thoughts and action plans. One has to mentally accept constructive destruction’s value proposition without which every endeavour will be futile. Solving HR Related Issues in Human Resource Management: One finds endless challenges in an organisation, especially while dealing with people. Dealing with them requires a smart approach, a calculated perspective. Aspirants, even though being aware of the theoretical knowledge, require a strong inferential knowledge. Several case studies showed that most of the time organisations are in a dilemma while dealing with their greatest asset – Human Resource. Aspirants would have to continuously bring new approaches to deal with them. If one has to reach the top, one would certainly need to churn his ideas into something that leads to definite positive result through suitable actions. 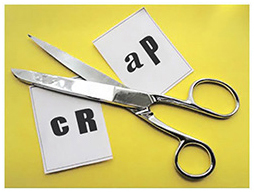 Setting Processes in Operations Management: Processes drive an organization. Aspirants pursuing Operations Management sure have witnessed how the efficiency depends on the efficacy of the process. One slight change can turn the table round; increase the output to a new level. So how should one bring such justice to the organisation? Should he be continuously doing what he has been normally doing? Certainly not. He would have to shoot up new ideas and get rid of usual ones, get inspired and bring out creativity. Aspirants have to religiously inculcate the ideology of Constructive Destruction to give way to the hidden spark within. Such approaches can not only bring the best out of one, but also drive towards excellence. 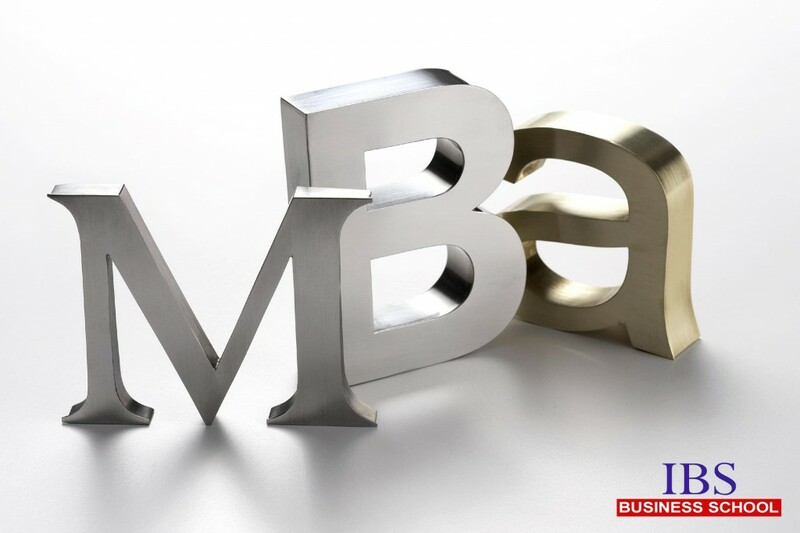 MBA is an excellent program where this can be fully utilized and shape the individual to a new level. Contributed By : Mitesh Agarwal ( Class of 2011, IBS Hyderabad). E-commerce empowers buyers and sellers alike. Buyers conveniently compare and choose from a variety of products available online; the sellers, well it is their bread and butter, and their presence online allows them to afford the metaphorical cake – Such is the customer reach. Having an e-commerce website, however, does not guarantee success. A healthy conversion-rate does. 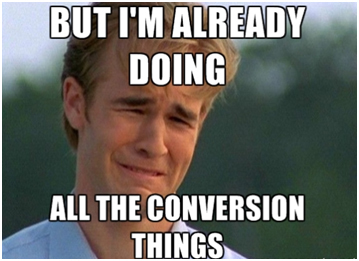 Conversion is the process where a browsing customer becomes a paying one. There are dark entities that lurk amongst the pages- often in plain sight- undoing all the good that may lead to a conversion. We witness recurring phenomena of shoppers having spent time and effort on zeroing down and romancing a choice only to get cold feet at the shopping-cart altar. before customers complete the checkout. When a customer bounces off the page, having made a subconscious or impromptu decision to not go through with a purchase, know that the dark entities- termed the Website Conversion Killers- have struck. What are these deterrents to conversion and how can they be defeated? The first step is to identify them. Some of them are elaborated below. What comes on the screen when visitors click on this button? Will clicking on this improve or work against the chances of visitors turning into customers? If it is something that will increase the un-consuming outgoing traffic, you may want to review the purpose and placement of the relevant button. The third step is more intuitive. You have your website. You have all the buttons in place. You still can’t figure out why your cash register isn’t ringing like crazy. And you already know your customer. If you tear down the emotional barriers to conversion, it will boost the customers’ fondness for your brand and not to mention the hike in sales. Run a cohort analysis on your customers’ emotions (using feedback systems) over a period of time and see whether the changes you make are effective or not. Fourth step – Rinse and repeat as required. Most websites do not share shipping costs and delivery details until the very end of the checkout process. It is quite frustrating for the shopper to have to turn back at this step. This can cost the e-retailer any hopes of having long-term relationships with visitors. Solution: Reduce the customers’ annoyance by offering free shipping in return for registration. This doubles as a good email-address harvesting mechanism. Add a minimum order value, and you will have encouraged spending as well. Don’t forget to put the info on your landing page. CWCS research concludes that 57% of shopping carts will be abandoned if the page takes over 3 seconds to load. 80% of the visitors will never return. Solution:Google’s Page Speed Tool helps you determine how fast your website is on a desktop and mobile while providing useful suggestions on speeding it up. Avoid using auto-rotating sliders on the homepage as they increase the time for the site page to load. 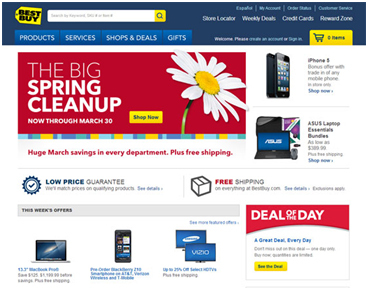 A crowded, confusing, poorly designed page will drive away visitors before they’ve had a chance to examine the products. Solution: Hire an expert to design your web page. Keep it clean and inviting. Make sure the copy and colors reflect your brand. One in five customers tend to abandon their carts if the checkout process is confusing or long. Solution: It is essential that the ‘buy now’ button be easy to locate on the website, be it on a mobile site or desktop site. Keep only those fields which are absolutely necessary. Your customers will be grateful for saving their time. Social recommendation can make or break a brand. If your brand exists in singularity and not many know of it, its credibility would be doubted. Customers need assurance that you are who you say you are. Solution: In order to be credible, publish press releases, testimonials, case studies and article son your homepage in an easy-to-find place. Also, place social media buttons on all product pages. Sharing will spread awareness along with credibility. One-sided web may keep criticism from overwhelming you, but denying visitors a chance to provide feedback, complaints or comments is likely to aggravate them. Solution: Allow customers to interact with you and let them provide reviews. Added bonus- According to the CWCS research results, 90% of customers claimed that reading a positive online review sways them into making a purchase. Aren’t these meant to promote sales? Visitors who have a discount coupon are likely to go through with a purchase. Those potential customers who do not have a code, on the other hand, will go off your website searching for one. Why should they pay more when others are getting a better deal? Solution: Provide a discount code on registration, mail deals to loyal customers (with links that work) and mention any seasonal promotion on the landing page. Having an automatic discount section is also a good idea to cheer up the ‘coupon-less’ customers. Learning to read a customer’s mind is a sought after skill which is more magical than reality. Conversion Marketing focuses on optimizing the conversion rates, persuading them to do business with you. The aim of any e-commerce retailer should be to create a controlled environment on their website, which gives good direction and minimum distractions. They must be willing to slay the conversion killers and stop the slaughter. to make selling easier; to have their cake and eat it too! Contributed By : Ankita Verma (Class of 2009, IBS Hyderabad).